Amazing This is very pricey but it is one of the best rums i have ever had. Yummmmmmm Smooth, great caramel note. very nice One of my favs. its has a little heat with a hint of oak. wow This rum knocked my socks off how good it was. Crazy smooth with a hint of the flavors of new Orleans. Wooooooo dogie Funky over proof? Yes please. Very hot but also balanced. very nice Very nice rum for a cool night. very soft with a nice vanilla note. It also makes great cuba libre. Best spiced rum Let me first say i am not a fan of spiced rums but chairmans reserve is amazing. balanced, smooth and tasty. bring the funk This is a very funky rum. Great in cocktai or great with a ice cube. So Good! i love all the chairman"s rum. All of Them I say!!!!!!!!!! Very nice This rum make's my favorite rum sazerac so good! light piece of heaven This rum is smooth light with a great flavor that the 23 is missing. good good five year um its a nice mixer rum. very different clear rum This is a interesting rum. It a very nice sipping rum. nice this is a nice smoother rum vanilla and goodness. nice starter Good cachaca to start with. good rum for its price Good standard rum to have. Go get it right now. good for a clear It's ok.
good basic agricole. This is not a as over powering as most agricoles are. drinkable nice its a good standard lower end of the nicer golds a good starter rum. very nice it one i have had awhile ago but i do remember liking it. ok silver it's ok not bad but ok.
good silver It makes Really Good rum and cokes and is a nicer silver right amount of heat. A ok spiced rum Don Q does a ok job on there spiced rum. its not over powering in it's use of spices. it's ok Its good with ginger ale that is all i can say. it's ok It's ok for well drinks and has a nice vanilla note. Umm that is pretty much all it has. 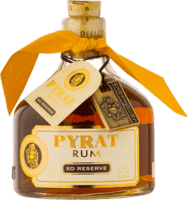 meh Just like all pyrat rums it just to orange forward. Meh I really did not like this one it had a weird after taste that i cant describe. overrated It only drinkable in a pinch but other than that I stay away from it rather have don q Crystal. Blarg I can't think of anything that can make this rum palpable.